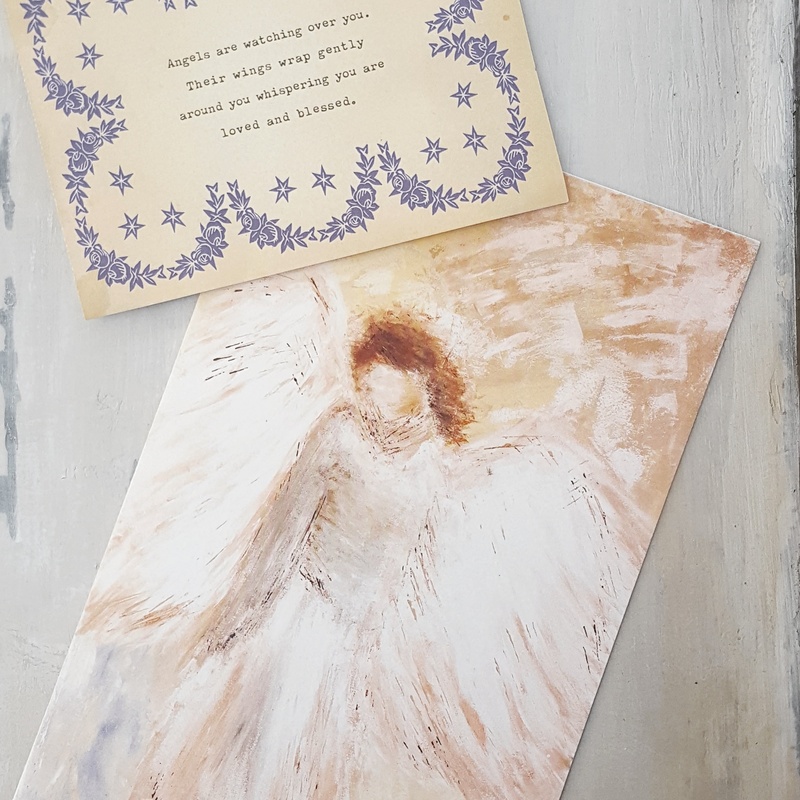 Monica is the artist behind the beautiful angel card in this month’s box. Her journey into starting her business started small. She had painted a canvas with a simple background color with the plan of creating something beautiful. She had put the canvas aside and time passed. A few years later, she came across the canvas and felt inspired to paint an angel. She sent a photo of the painting to a friend and her responses, and those of others, filled her soul. She is not sure where her journey is leading her; she trusts God and is taking a leap of faith. 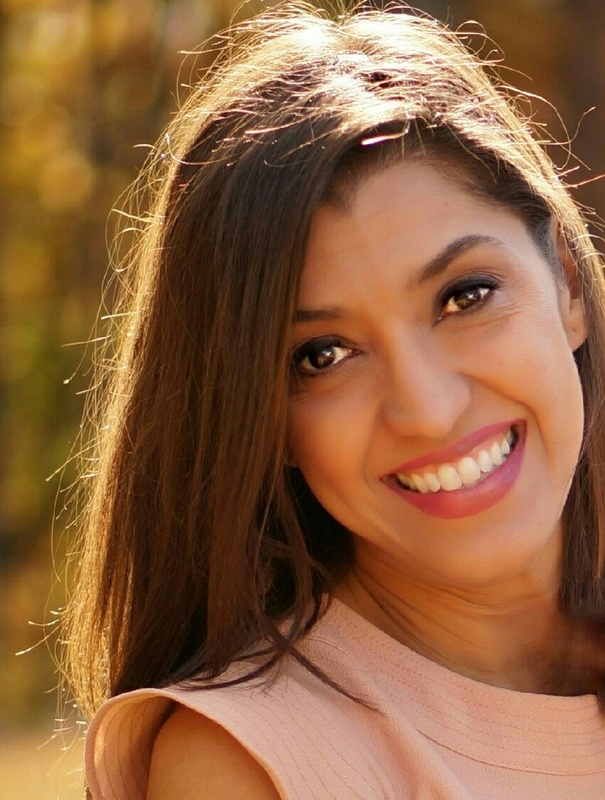 Her mission is to inspire the world, let people know that God exists, and that He hears them. The process of creating her paintings is very spiritual. Monica prays, listens to Christian music, and praises God while she is painting. For her, it is as much of a part of the process as the paint. 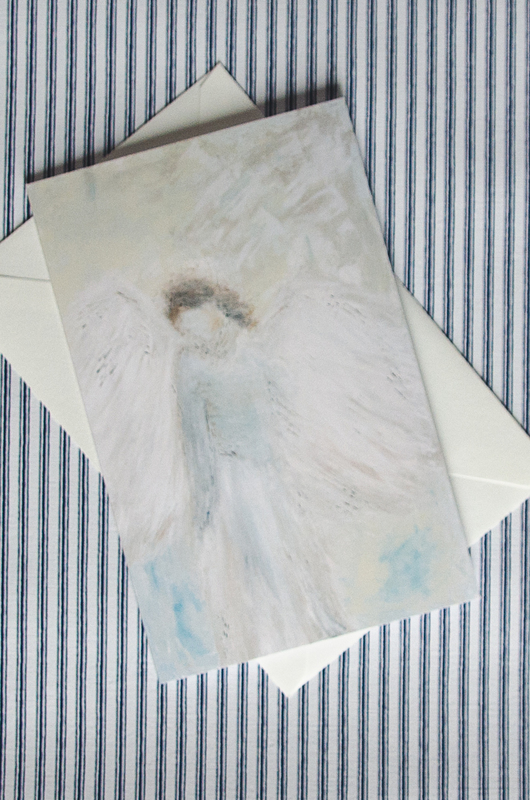 The angel card in this month’s box was painted late one evening. Monica was really struggling through it, not feeling that she could get it to look just right. She kept painting until she felt a change in the direction and style of how she wanted the angel to look. It is now one of her favorites and a best seller. Painting this angel was another lesson for her in perseverance, in trusting God to lead her in the right direction, and not giving up. Monica can see how God moves in our lives and how her art inspires and touches the hearts of others. Last spring, she was a part of an art festival at a local school that had low attendance. She had stepped away from her booth when one of the other vendors walked over to tell her that she had a customer looking at one of the angel prints. Monica walked over and asked if there was something that had caught the woman’s eye. When Monica walked in front of the woman, she could see her eyes were filled with tears. The woman said, “That is my mom,” pointing to the “With Brave Wings She Flies” Angel print. Monica asked when her mother had passed, thinking the woman was seeing her mother as the angel. She replied that her mother was still alive and that she was in an abusive relationship. The angel reminded her of her mother and what she was going through. The woman had only run in briefly to pick up her child and did not have the means to purchase the print. Monica felt compelled to give her one. The woman burst into tears and thanked her. They hugged and she went on her way. Monica was moved and inspired to see how one thing that she had made could have such a deep meaning to someone. What that woman didn’t know was that it took three times for Monica to get the angel right. She painted over the same canvas three times, each time starting completely over because she didn’t like the angel she had painted. It wasn’t until her third try that “With Brave Wings” angel was created. God reminded her that if we come to Him, He would wipe the slate clean and make something beautiful from our mistakes, no matter how many times we mess up.